The Willoughby family, from Wollaton, Nottinghamshire, built up an extensive medieval library, including the notable Wollaton Antiphonal; theirs is the largest surviving library gathered by a gentry family of the period, the product of a single acquisitive burst, beginning around 1460 and mainly completed at about the time of the Dissolution in 1540. The manuscripts remain unique because of the very substantial core which survives more or less in situ, together with a huge collection of family archives, at the University of Nottingham, just a few miles from their original home. 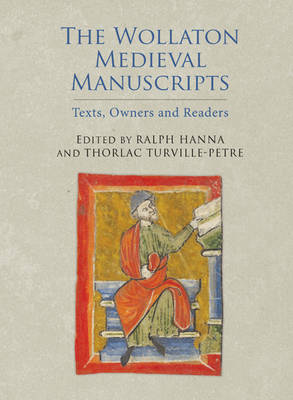 This book focuses upon the ten manuscripts now in the Wollaton Library Collection as well as the famous Antiphonal. Essays explore the history of the library and the Willoughby family, the books of Sir Thomas Chaworth, the art and function of the Antiphonal, the works of pastoral instruction, the decoration of the French manuscripts (including the earliest fully illustrated manuscript of romances), the Confessio Amantis, and the conservation of the collection. The essays are followed by a full catalogue of the Wollaton Library Collection as well as of manuscripts and early printed books now dispersed as far afield as Tokyo and New York. Contributors: Alixe Bovey, Gavin Cole, Ralph Hanna, Dorothy Johnston, Rob Lutton, Derek Pearsall, Alison Stones, Thorlac Turville-Petre.